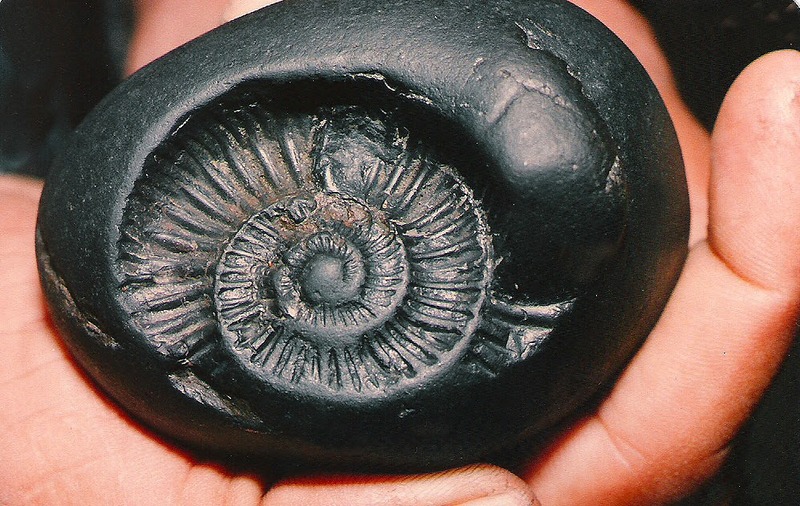 Shaligram, which the geologists reveal to be a Sedimentary fossilzed shell; but clearly holds a lot of religious significance and cultural impartations for the Hindus (mainly the Vaishnavas); in its literal meaning translates to ‘Lord without any form’. Percieved as an anionic and abstract representation of the divine, it has a great significance and is popular among the Hindus of the Indian sub-continent; particularly in the traditions of the Vaishnavism. 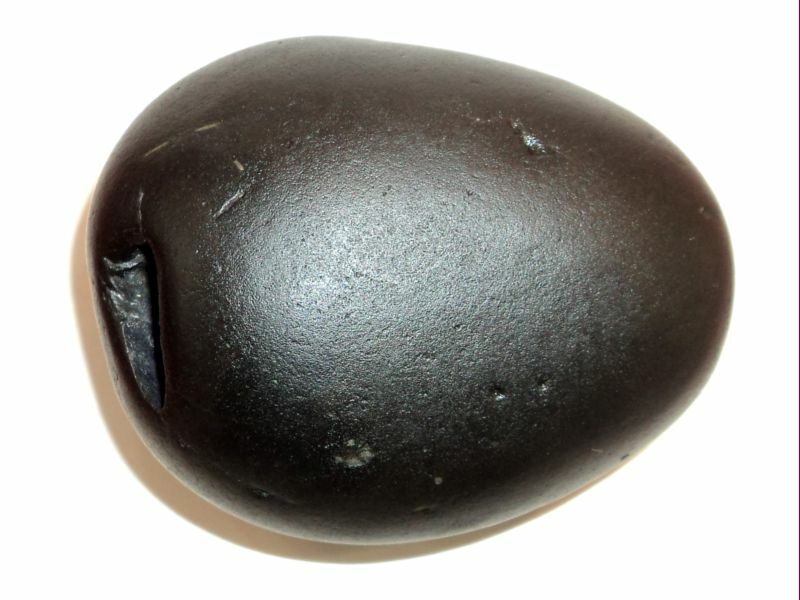 The Vaishnavas regards the Shaligram as the dwelling place of Lord Vishnu. Vaishnava dharma (or the Vaishnavism) is one of the major traditions within Hinduism which considers Vishnu as the Supreme Lord. its followers call themselves the Vaishnavas and as a religion it co-exists along with Shaivism, Shaktism, and Smartism in the Hindu dharma (Religion). 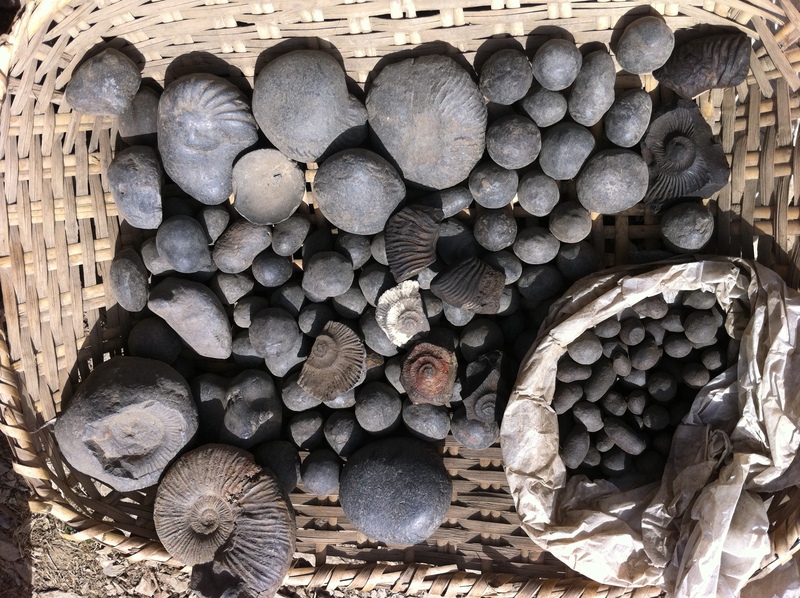 Shaligrams are naturally formed and round, black-colored Ammoniod fossils with spiral or circular markings.Though mostly small or medium sized some of the fossils are large with a diameter upto 2 meters. Shaligrams are collected from the river beds of a himalayan stream, located between the Dhaulagiri and Annapurna mountain ranges- the Gandaki River in Nepal. The largest and heaviest Shaligrama can be seen at the Jagannath Temple, dedicated to Vishnu, at Puri in Orissa. The exact location being the Damodar Kunda (Kunda a Sanskrit word for lake); the shaligram found here is called the Shaligram Shila. Historically, they have been found to have existed nearly a 100 million years before the first humans evolved. As the tales tell, the stone is the shelter for a small insect known as “Vajra-Keeta” that has a diamond tooth. It cuts through the Shaligram stone and stays inside it. The Shaligram stones are hundreds of million years old ttracing their existence back to when the Himalaya was an ocean floor. The marks on the Shaligram gives it a special significance , the Discus of Lord Vishnu. It has the marks of Chakra (a series of lines together resembling a wheel), Shankha (a Conch shell) or Gada (the mace), and Padma (sacred lotus- an aquatic plant) arranged in a particular order; it differs in the the order of the four symbols, the Vaishnavas associate the Shaligram with different incarnations of Lord Vishnu . The Chakra, Shankha, Gada and Padma all are the appurtenances of Lord Vishnu. For Instance, were the marks being in the order- Shanka, Chakra, Gada and Padma, the Shaligram would be allied with Keshava. But had they been in the order – Padma, Gada, Chakra and Shanka, it would be then worshipped as Narayana. Both Keshava and Narayana being the incarnations of Lord Vishnu. The Purans (Scriptures of Hindu dharma) mention of 20 different types of Shaligram, each of them attributed to an incarnation of Lord Vishnu. Diving deep into it, from a rational point of view; the geological explanation for these stones is that they are fossilised remains of creatures from the ocean called ‘ammonites’ (an extinct group of marine molluscan animals) which became extinct 65 million years ago in what geologists call the ‘Cretaceous’ era, nearly the same time around when the dinosaurs became extinct. But the legenadary tales of the Hindu Dharma go on to tell us how Sati Vrindha (Sati being the Sanskrit word for Widow) cursed Lord Vishnu when he destroyed her. Vrindha was the wife of Jalandhar, a demon king who was born by the union of the flames emanating Shiva’s third eye and the ocean and also the greatest devotee of Lord Vishnu himself. To wash away this curse Lord Vishnu took four avatars. He took the incarnations of stone (Shaligrama), grass (Kush), tree (Pipal) and plant (Tulsi; the Sanskrit word of Basil). From this time onwardse the Shaligrams are considered to be most auspicious to behold and to worship. According to the Sashtras (the Scriptures), Shaligrama is worshiped for six values of life; Righteous living, Wealth, Protection, good health, pleasures and Spiritual blessing . Moreover, in the Garuda Puranam (the Scripture) it has been mentioned, ‘Mukthi’ (the Sanskrit word for Salvation) is assured without doubt in those places where Saligrama Silai exists. Also the stories narrate how in the Mahabharata, the supreme Lord Sri Krishna narrates the significance of the Shaligrama to Yuddhistira; the eldest son of King Pandu and Queen Kunti and the King of Indraprastha and later of Hastinapura. Also Read : Is Lord Shiva really easier to please than Lord Vishnu? Shaligram worship can be traced back to the time of Adi Shankara, recorded in his works the Taittiriya Upanishad, the Brahma Sutras, suggesting the worship of Shaligrama has been a well-known Hindu ritual. Owing to the wide-spread popularity of the Shligrama; both as an artefact and a material of worship as it even finds its analogy with ‘Linga of Lord Shiva’ and that it is worshipped in Hindu temples and households around the globe, it doesn’t seem to lose its significance sometime soon.